Experience and innovation combine to make Winzeler Stamping Company an ideal source for your mid to high volume progressive die stamping requirements. 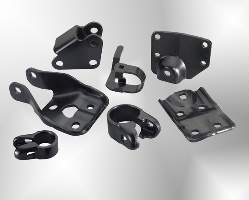 We design and build precision progressive dies used to produce tight-tolerance, quality metal stampings for a range of industries and market segments. Our production facility is fitted with progressive die presses ranging from 60 to 440 tons to produce your simple to complex stamping needs, including ¼” thick heavy gauge components. 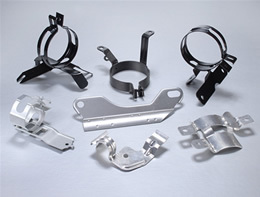 We have the capability and production capacity to generate components, including precise Steering System Components, utilizing common or specialty metals and metal alloys efficiently and economically. Progressive die stamping is a metal stamping process during which multiple operations are performed in a progressive or straight-sided press. Material is fed automatically from a coil into the press and advances from one die station to the next with each press stroke. Each station along the path performs a specific operation simultaneously each time the die descends until the part is complete. The final station is typically one in which the finished component is cut from the strip of metal that transported it through the press. 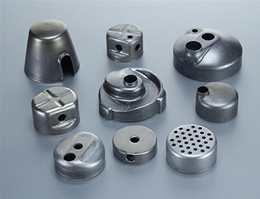 Several different processes may be incorporated within a single die, for example: blanking, bending, punching, piercing, tapping, embossing, curling, knurling, and deep drawing. Although initial tooling costs are greater than that of a transfer press tooling set due to the intricate design of the die, costs can be offset quickly because as of the ability to produce more parts per minute. The integration of multiple operations into a single die stamping process translates to less material handling and reduces the chance for error. Because you own the tooling, we take our responsibility for maintaining your investment very seriously. We incorporate a die maintenance program into our quality processes to ensure the repeatable and reliable accuracy of your component. We utilize our expert tool and die team to sharpen, repair and maintain the die after each use, extending the life of your tooling and minimizing the potential for down time in future production runs. 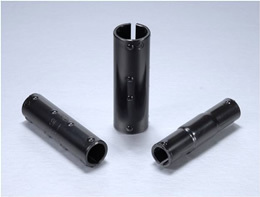 Winzeler Stamping Company also offers a variety of value added secondary operations giving you the ability to source a part that is completely finished through our streamlined production process. Winzeler Stamping Company is ready to assist you today. 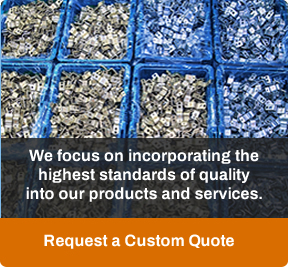 Whether you need to source a part, plan the design and build of a new die or whether you are interested in moving an existing tool to a financially stable supplier, we are prepared to offer our best service and expert capabilities. Send us your electronic prints, or Contact Us to discuss your project.